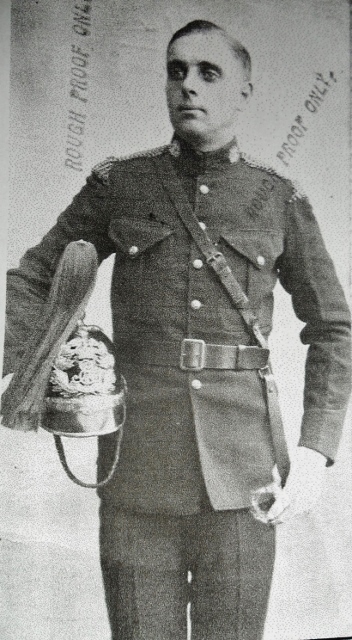 As the first in our series of Personal Accounts many thanks to Paul who got in touch with us to share some photos and memories of the person he knew as “Uncle” Carl Elsum who was a close family friend who served with the Norfolk Yeomanry in WW1. 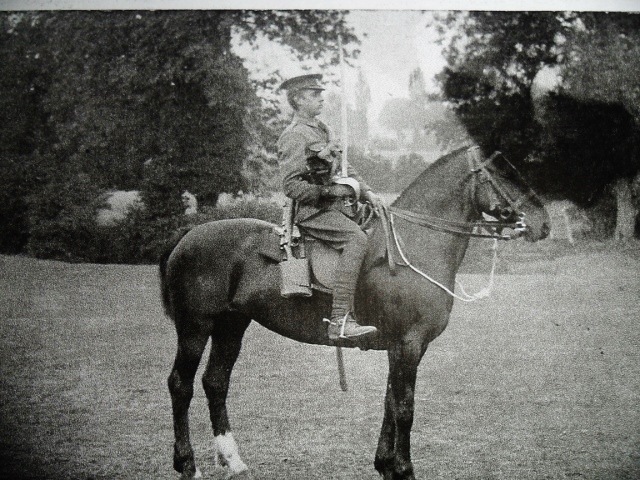 Paul writes: “Here are some images of him..not too good…in his uniform and horse pre-1914 methinks. He went to Gallipoli and said it was chaos on the beaches when his ship arrived. Allied artillery up the coast firing up at turkish positions….whilst everywhere was chaotic. Soldiers splashing and swimming…..playing football on the beach…some drilling…..cleaning weapons….etc etc etc a bit like a tented beach party!! A party except every now and again a turkish shell would whistle overhead and land somewhere….usually the sea…………he was amazed most people seemed oblivious to this! He was quite perturbed/angry that their horses were taken away quite quickly and they were issued with bicycles!!! He loved visiting Germany before WW2 and I have some of his private snaps showing swastikas outside village shops……stormtroopers coming over a bridge etc etc. He lived with his sister Dulcie in watford in the 1960’s-70’s and always chatted to me over the garden fence. 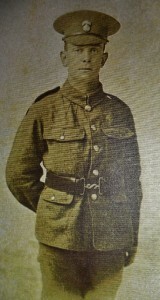 Thank you Paul for the pictures and account of Uncle Carl and also for the picture of your grandfather to get our new feature started. 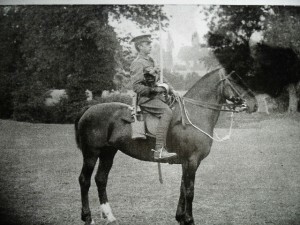 If anybody has pictures or personal accounts of their own service in the Suffolk and Norfolk Yeomanry or that of a relative that you would like to share us please get in touch. This entry was posted in News, Personal Accounts on 16 November 2014 by Stephen Reynolds.